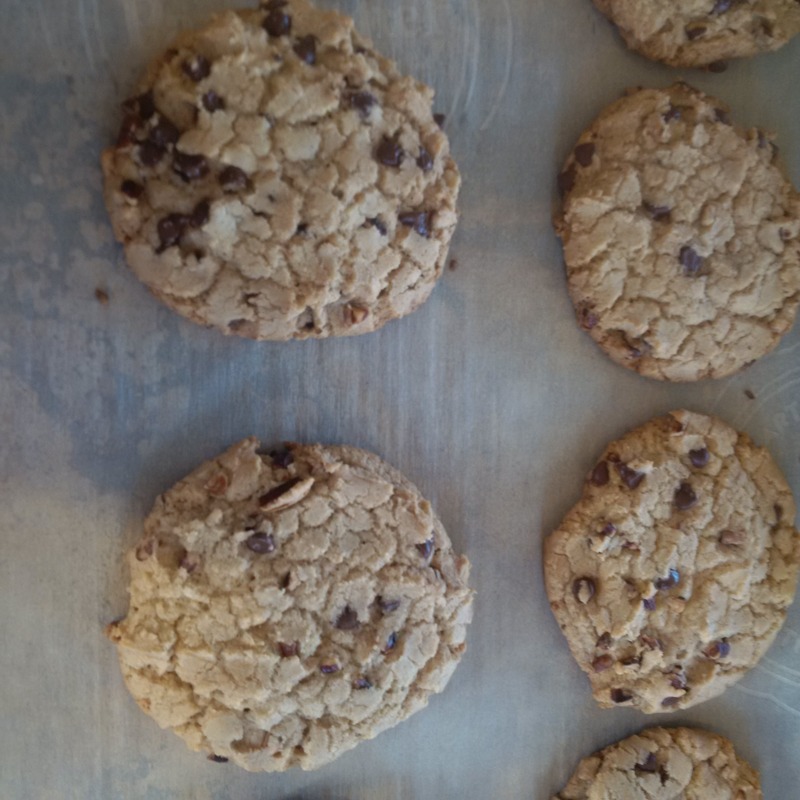 This is one of a few recipes I have for chocolate chip cookies, I love the classic chewy chocolate chip but I also like cookies like this one that is crispy on the outside and chewy on the inside. It’s perfect for dunking and stacking in a cookie jar because it won’t lose it’s shape and bend or crack. 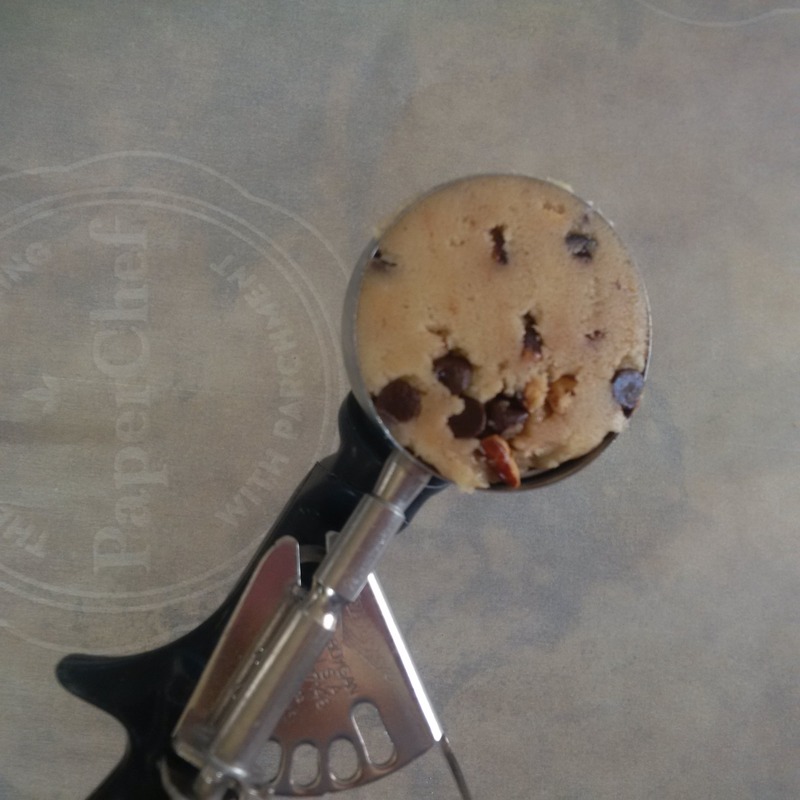 My favorite part of these cookies are the toasted pecans, it’s an added step to toast the pecans ahead but it makes a world of difference to the flavour in the end. 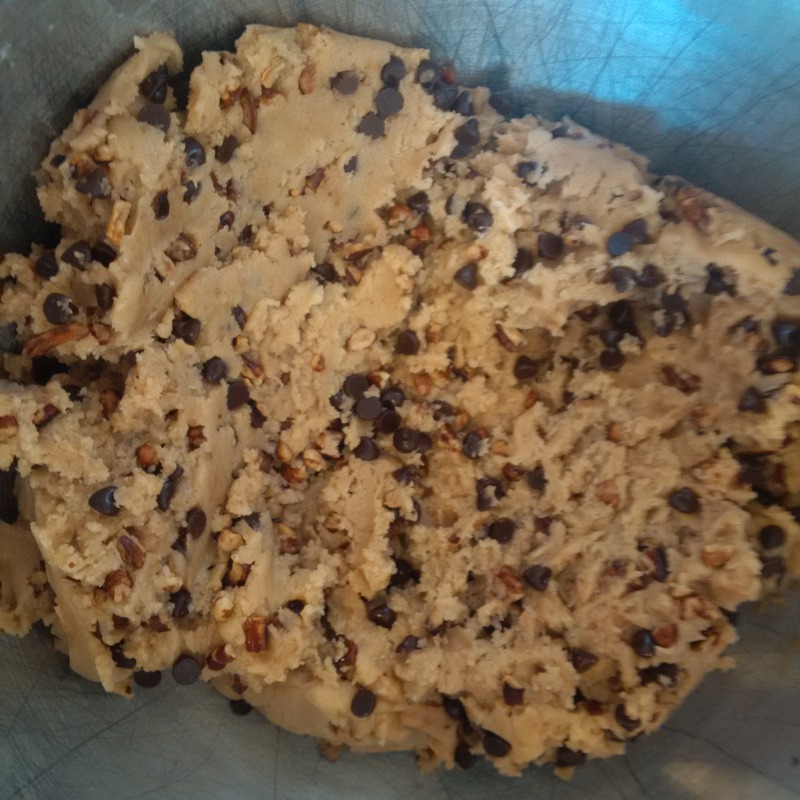 Like all chocolate chips cookies, have fun with the inclusions, add any kind of nut or chip that you enjoy. 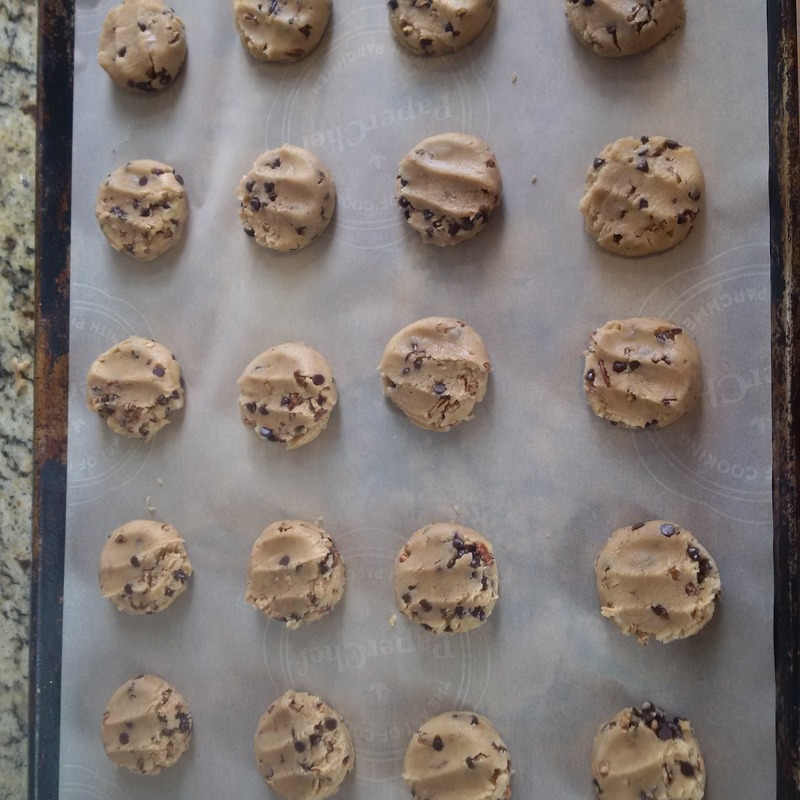 Preheat the oven to 325 degrees F, line a baking sheet with parchment paper and set aside. Toast pecans in a non stick pan over medium/low heat until aromatic, 3-5 minutes white stirring often; allow to cool. Sift dry ingredients together and set aside. 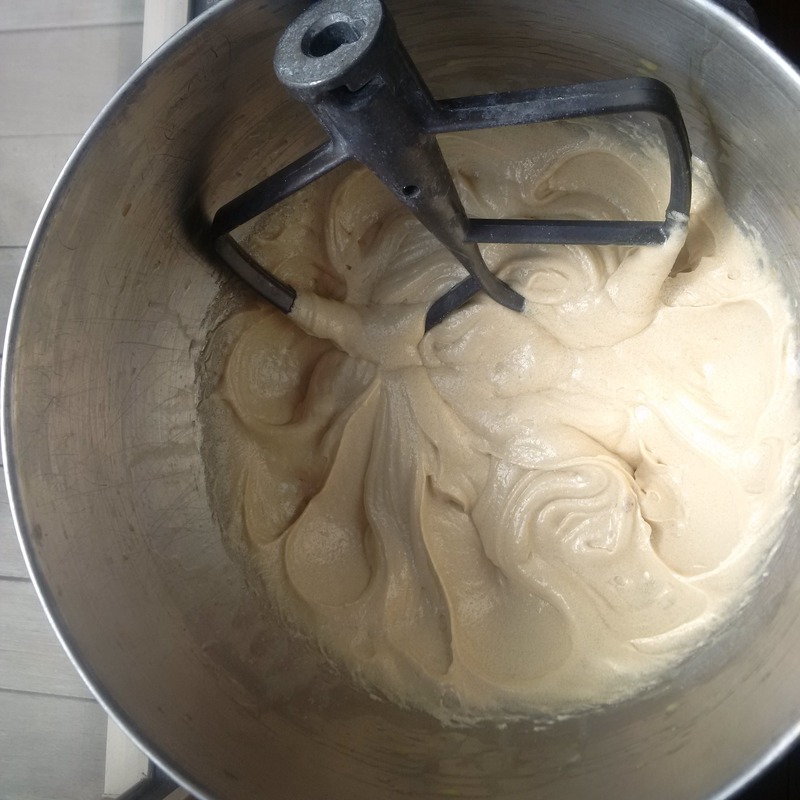 In the bowl of a stand mixer combine melted butter, sugars, eggs and vanilla, beat on medium with a paddle attachment until light in color. Add dry ingredients and beat on low just until combined. Add chips and nuts and mix again to combine. 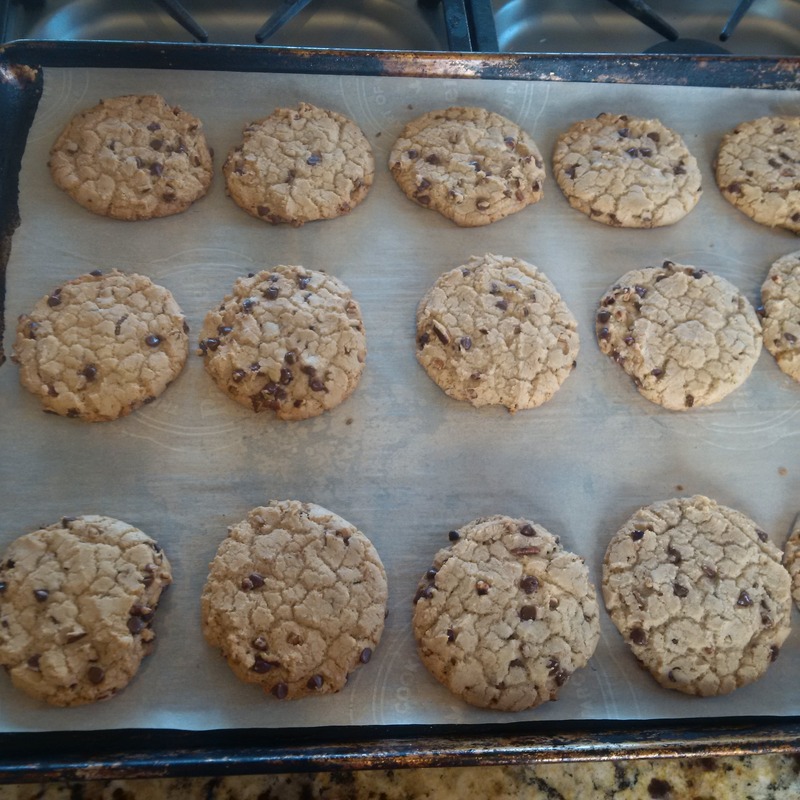 Scoop mix to desired size (picture is 2 oz cookies), press lightly on the cookies to flatten. 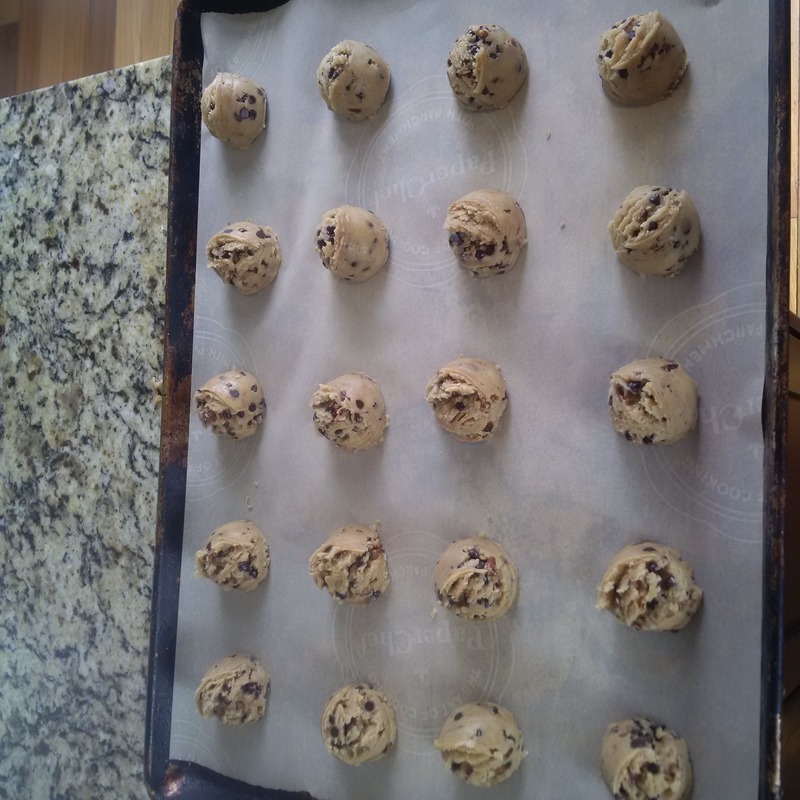 Bake cookies for 12-15 minutes on the centre rack of a standard oven or all racks of a convection oven with the fan on low. These are so good, don’t wait for them to cool, just eat them hot right off the baking sheet unapologetically! Enjoy! Thank you, it’s very nice to get good feedback from a fellow foodie.